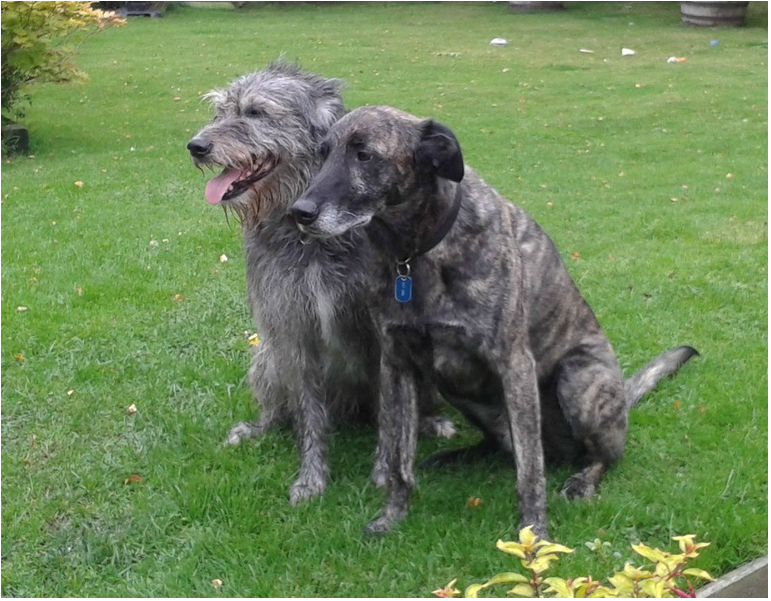 Our Guy and Perdie are brother and sister, they met up 4 years ago when our neighbour Megan rehomed a dog from her daughters friend. When Megan invited us in to meet her "new dog" it was obvious how similar they were even though she is rough and he is smooth haired, when we looked at their details they had the same birthday and after some investigations we discovered they were actually related. They have a lovely bond with each other and Perdie has become part of our family. 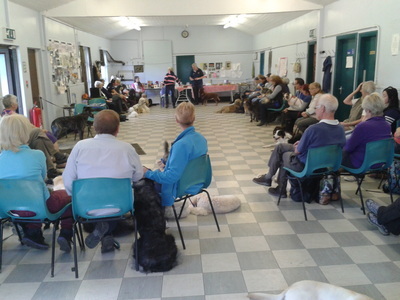 We have enjoyed another extremely busy year with our dog school with extra classes needed to fit everyone in! 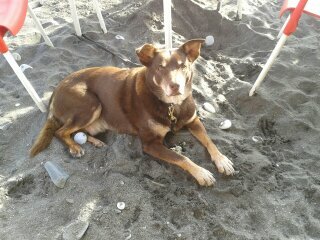 We are now enjoying a well earned winter break once again in our favorite place in Spain, it`s wonderful to be able to bring our dogs with us again even though Dingo is now 13! We would like to thank all our lovely pupils for supporting us yet again this year, we have enjoyed meeting everyone one of you and your super dogs. 2016 is the twentieth year for our dog training school, we hope to have some celebrations during the year to mark this achievement. We already have news for next year! Many congratulations to you both on this achievement, we look forward to helping you prepare and supporting you on the great day. 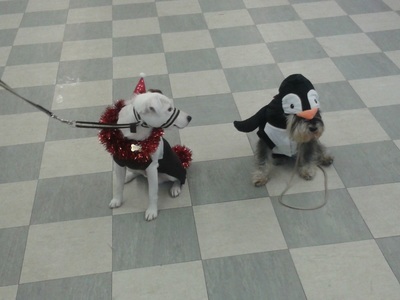 Always a great event for our pupils, it amazes me how much effort goes into dressing the dogs in their party outfits. Although we were stuck indoors due to the weather the games went down well and we had some keen winners especially in the chuck a sausage game! Every dog went home with a squeaky present. Pictures of the party; fancy dress winner Peter seems to think Yogi`s outfit is funny. We had a wonderful party with 48 of our friends and pupils all enjoying the entertainment provided by various people from our group. 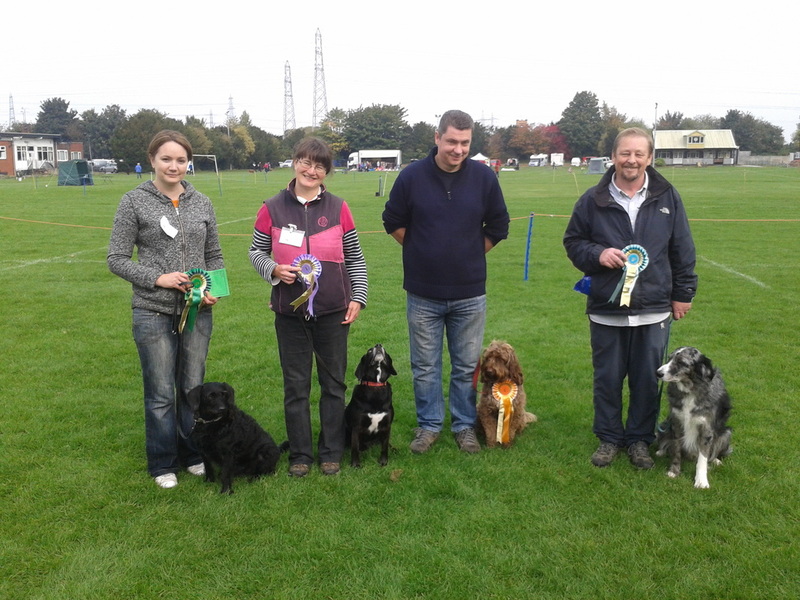 Congratulations to all our pupils in beginners at Cheshire dog show. Mike and Len were competing for the first time so we all look forward to having the cakes! 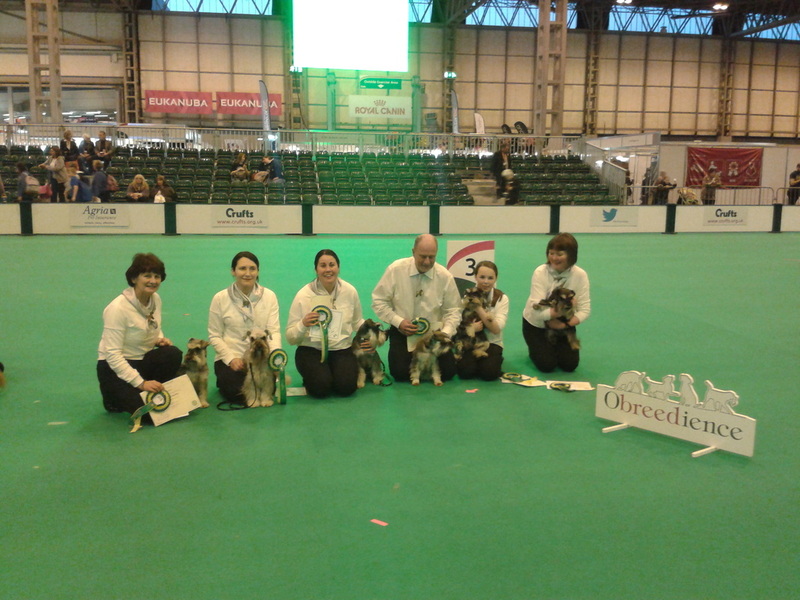 Well done guys, we are very proud of you all. 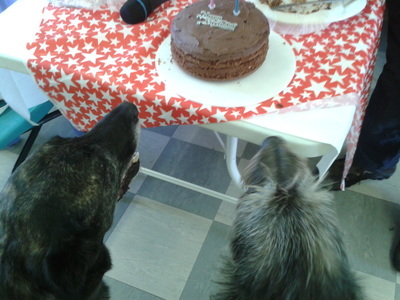 Guy and Perdie inspect the birthday cake made for them, and everyone waiting for the raffle! 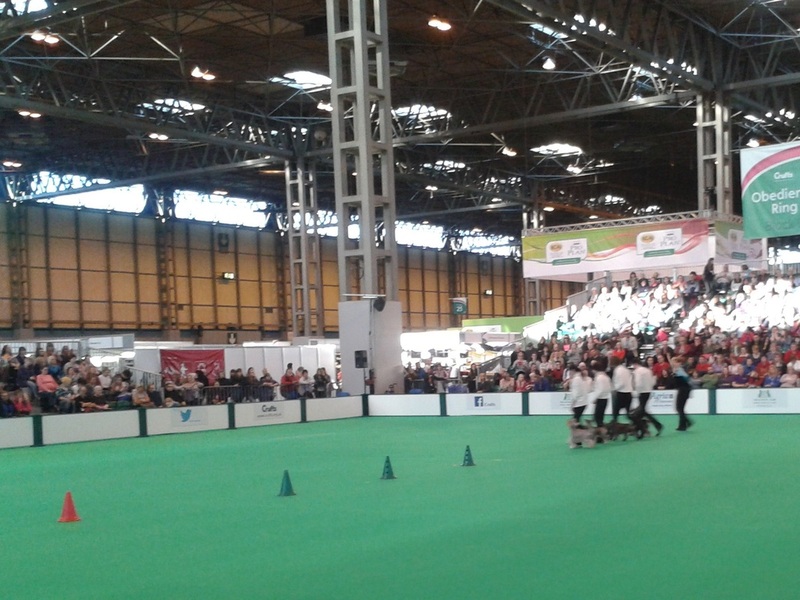 We had a super day with everyone enjoying the experience, all our pupils earned a rosette and took the best dog home. Well done to you all, we are very proud of everyone who took part. 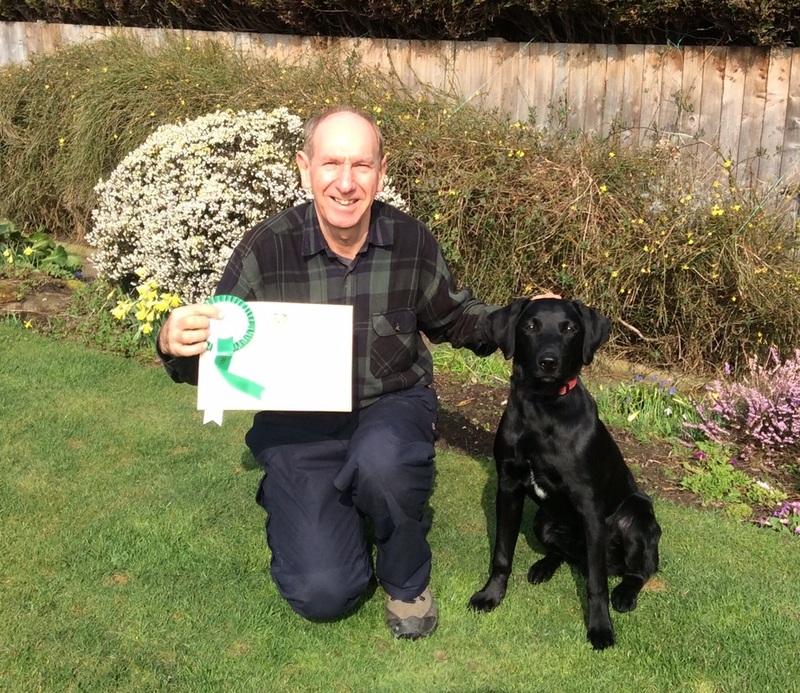 It is with a heavy heart I report the sad and very sudden passing of Janet and Geoffs lovely Labrador Bruno. 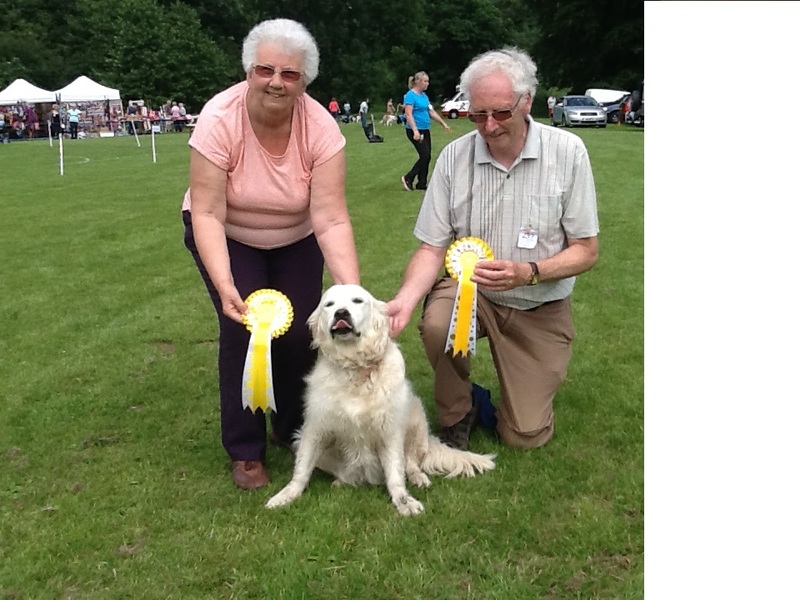 Bruno was a very clever dog and from the start he and Janet formed a great partnership winning many prizes at all the dog shows they entered. 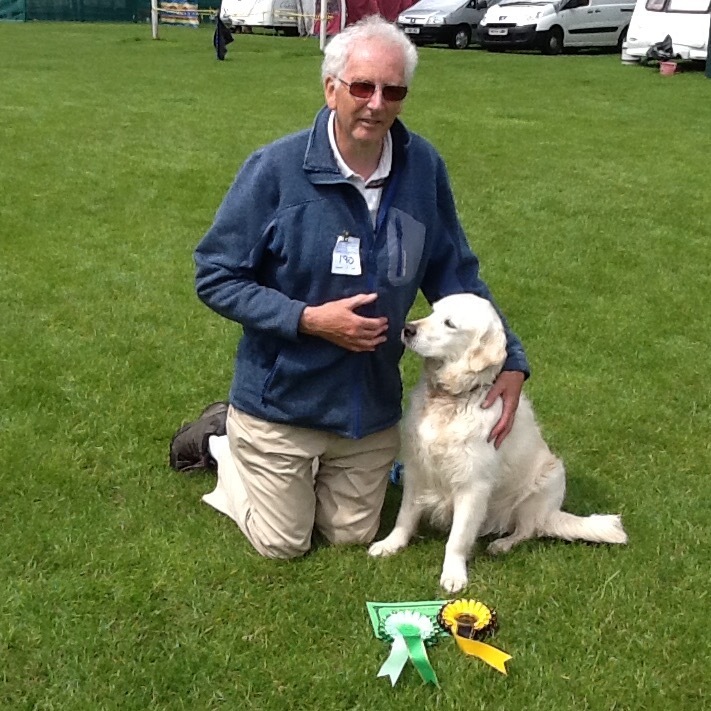 His temperament was second to none, he made many friends at our class and the shows, he was a favourite at the homes he visited with Janet as a Pat Dog he made Janet and Geoff so proud. 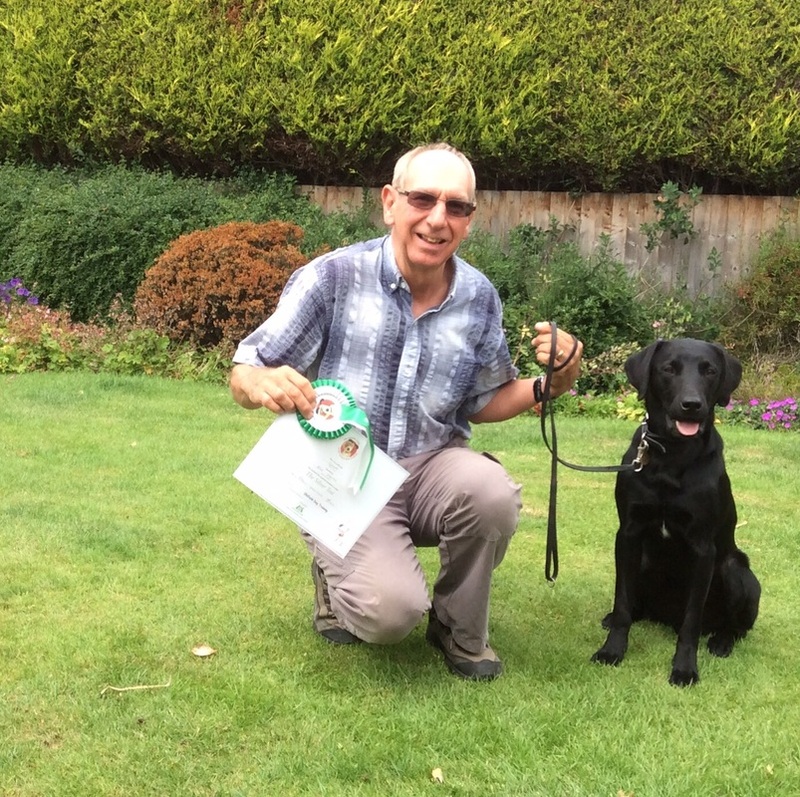 We will all miss him at class and his great sausage catching ability at the christmas party! he was amazing! We all feel for you at this very sad time and send you our deepest sympathy. 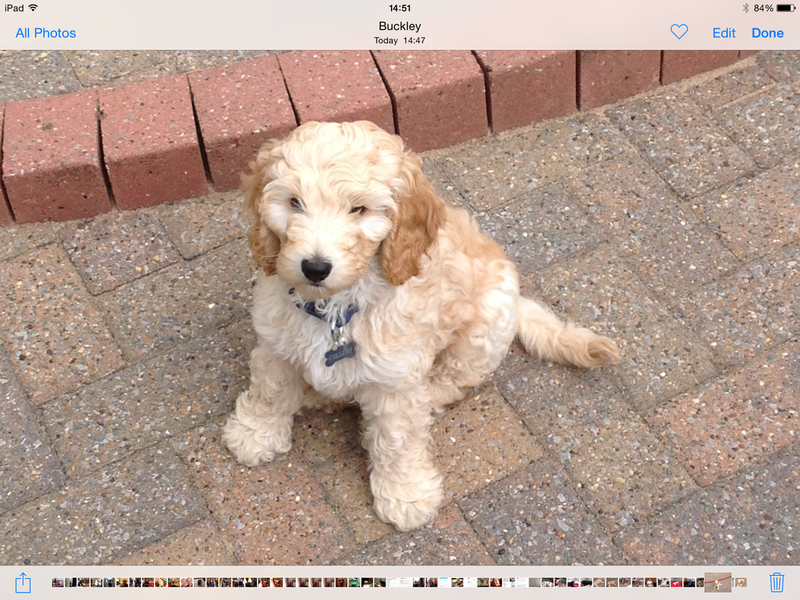 A lovely photo of Jo`s new puppy POPPY, standing on a cloud? 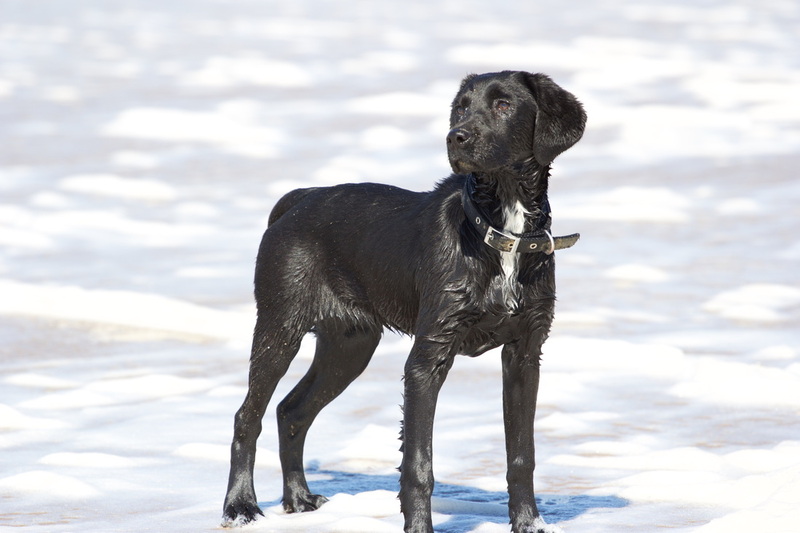 she is springer x lab and she is lovely. 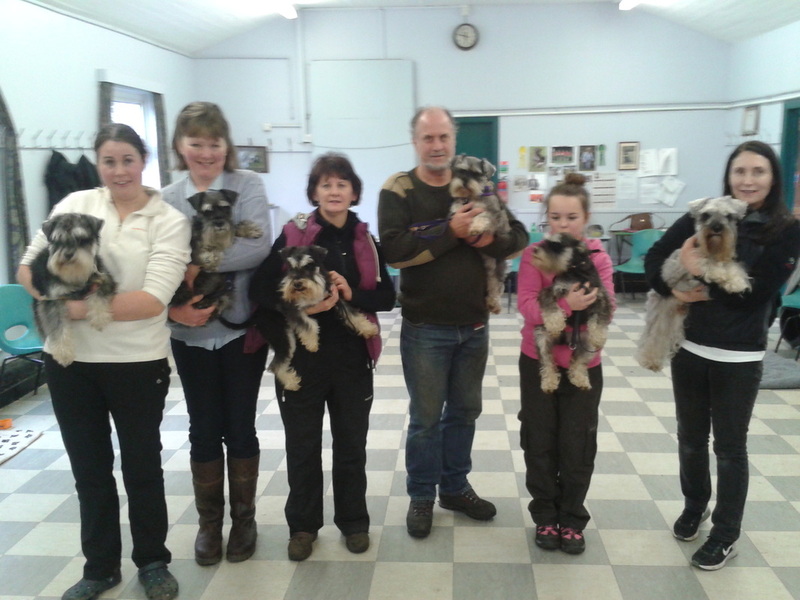 They are doing very well at class and we look forward to seeing them progress. Apparentely she is standing in foam on the beach! 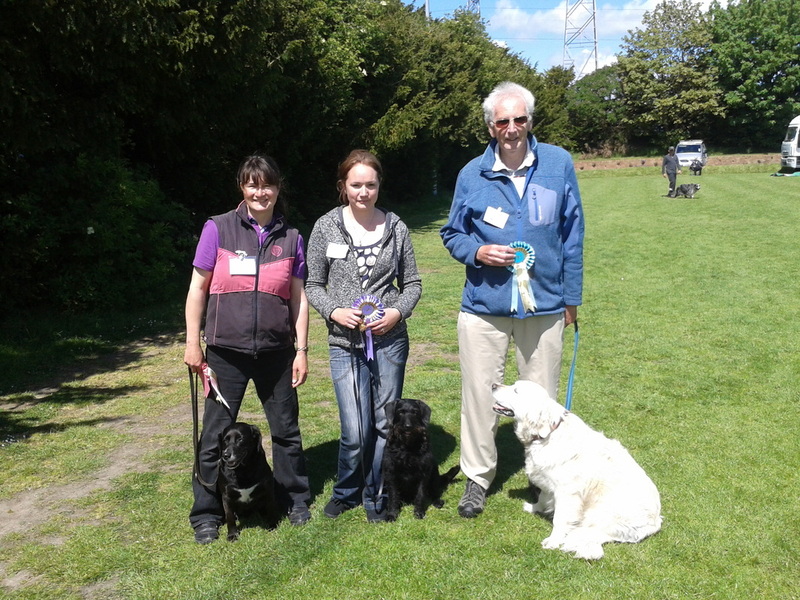 On gaining 5th prize in beginners at Newton Heath dog show today. We are so proud of all you achieve. 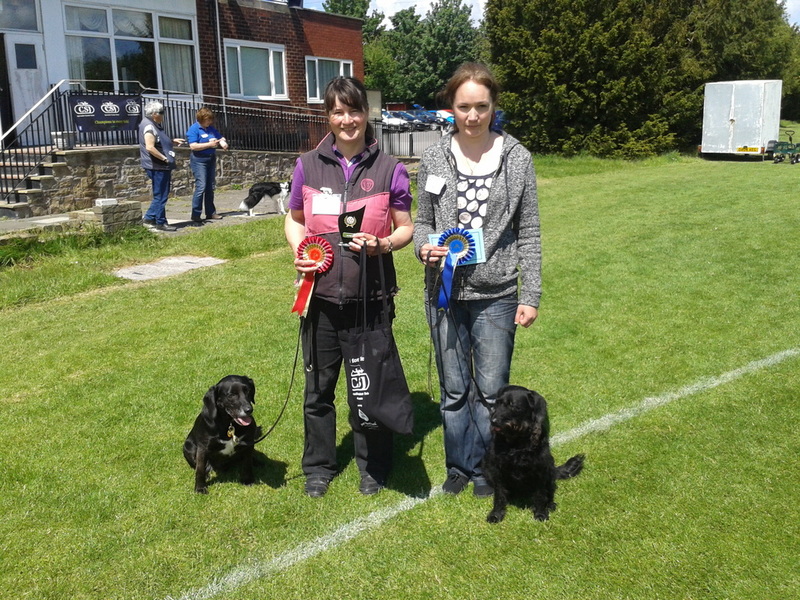 EMMA AND BARNEY 4TH BEGINNERS AND SPECIAL ROSETTE BECAUSE THEY WERE FABULOUS! 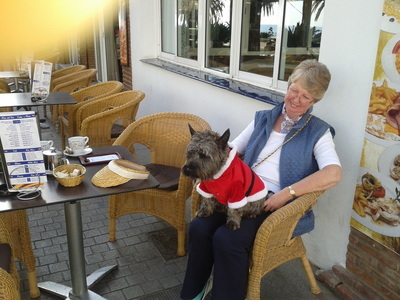 The judge fell in love with Barney`s waggy tail! Well done to you both, we are so very proud of your achievments. We had a super afternoon at Rhydmwyn fete showing the crowds what we get up to at our classes. 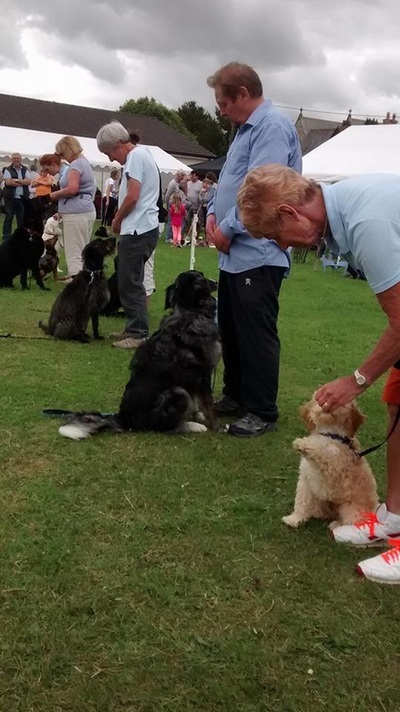 There were 14 of our pupils at the display which included Carole`s lovely puppy Chester who at 12 weeks old took it all in his stride and Carole really enjoyed showing him off! Once again EVIE is in the news! Well done to all of you, what a lovely day you had. Have a look at this little beauty! is Carols lovely new cockapoo puppy and we look forward to helping them with their training; he has already been coming to class just to say hello! 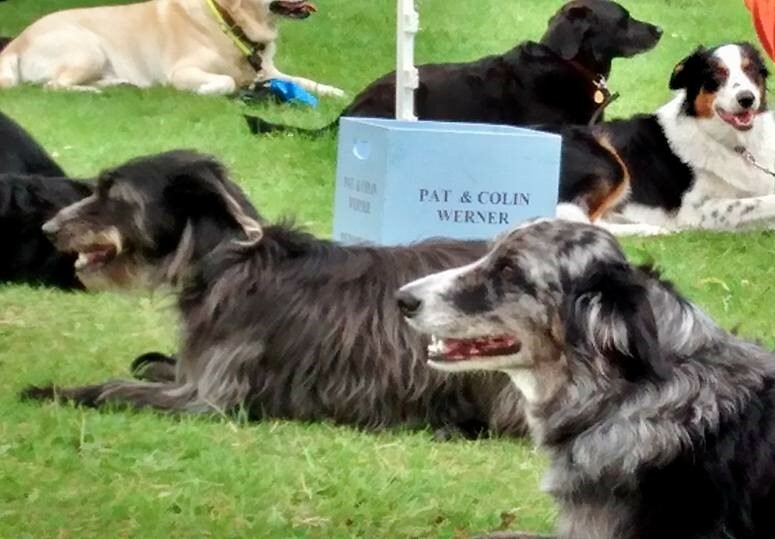 At Preston and Fylde dog show. Bill and Evie making their mark after a lot of hard work from Bill and Gill, we are so proud of you both and look forward to the cakes. 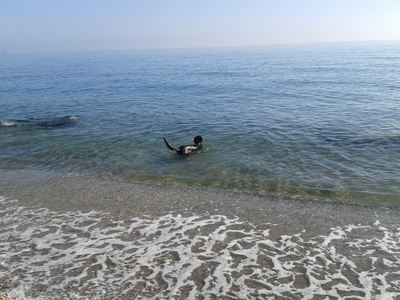 It was very nearly a run off with Belle and Barney!!!!!! 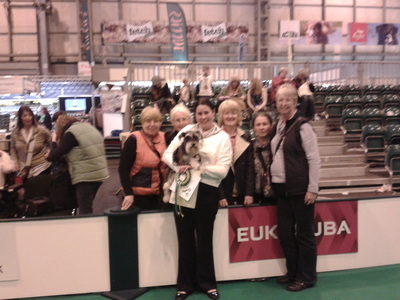 This is Bills first rosette with Evie. And BEV and MAX just missing out of a place in Novice. Well done to you all, we are very proud of all your achievments. CAKES, CAKES AND MORE CAKES ON SATURDAY!! 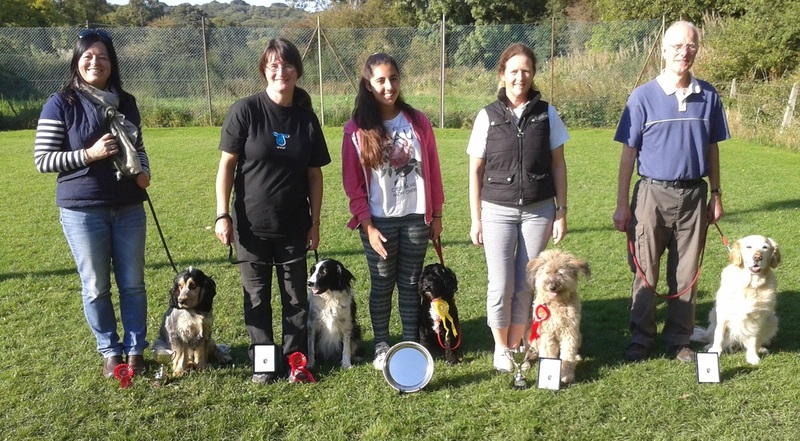 Some of our pupils went off to Anglesey dog show this weekend and got busy winning prizes. Very well done on gaining these places in your classes as the weather and the conditions were dreadful. 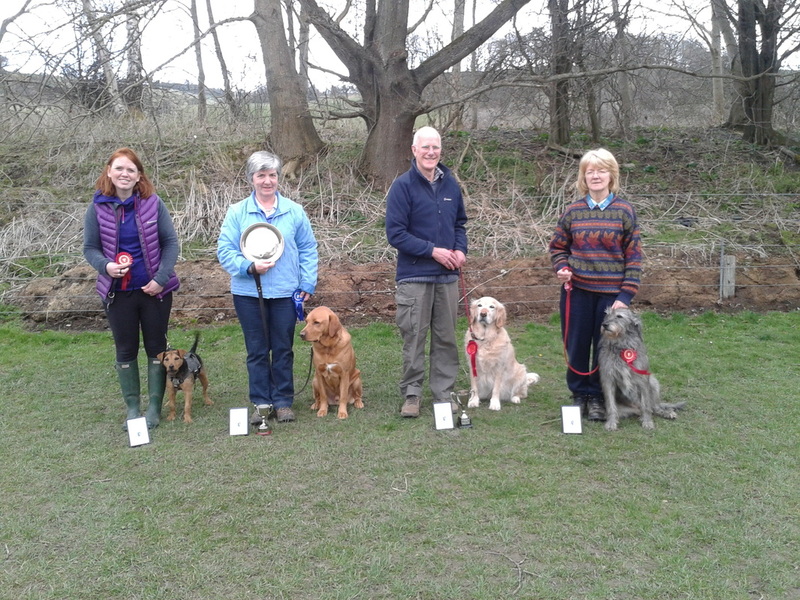 We had another super day at our spring progress test, the weather threatened us all day but in the end we managed to run all the classes without getting wet! 24 of our pupils took part and everyone made a really good attempt at their exercises, we were very pleased with everyone on the day and we had an excellent lunch buffet. Dave emailed me with the good news that his young Labrador Gelert has passed the KCGC Bronze test at only 7 months old, many congratulations to you both. WE ARE OFF TO CRUFTS AGAIN!!! This is the biggest and best dog show in the world and we are all looking forward to going down to the NEC to see all the activities, this year we are supporting one of our pupils BEV and YOGI Miniature Schnauzer who are part of the OBREEDIENCE TEAM EVENT on Saturday in the obedience arena. We are also supporting the WELSH TEAM competing in the interegional competition on Thursday as Pat is the North Wales co- ordinator for the team and we wish them all the best of luck. 14th February and below is a photo of the team. 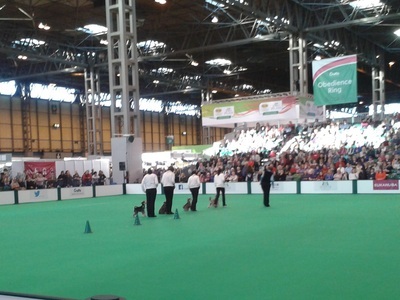 We wish them all the very best of luck at Crufts 2015. 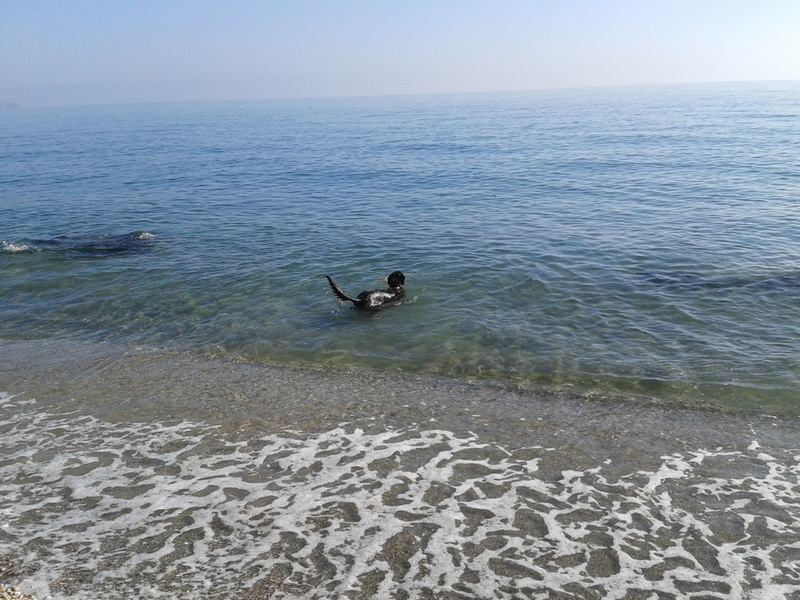 We are back from our epic trip to Spain and looking forward to getting back into training, it was lovely to see everybody on our first Saturday and catching up with all the news. 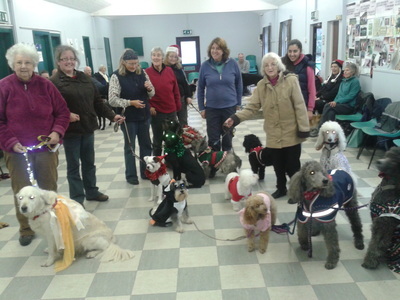 Many thanks to our friend Anne who ran the weekend classes while we were away along with Pauline and everyone who helped out. 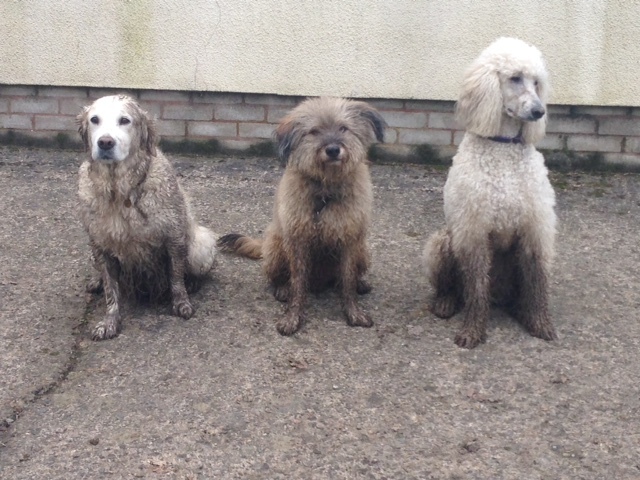 This lot had been for a good run in a very muddy field after training!! Good thing Anne is a groomer and bathed Destin a pale goldie, Paco the french one and Curtis a white! poodle when she got home, but at least they had a good time. 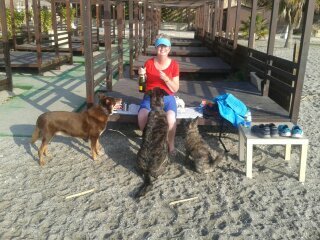 Many thanks to Anne who is running our weekend classes for us while we are on our winter break in spain with our dogs. Pictures of Guy having a swim, Dingo who was 12 years old in December and Bodie went around Nerja in his santa outfit on Christmas Eve. 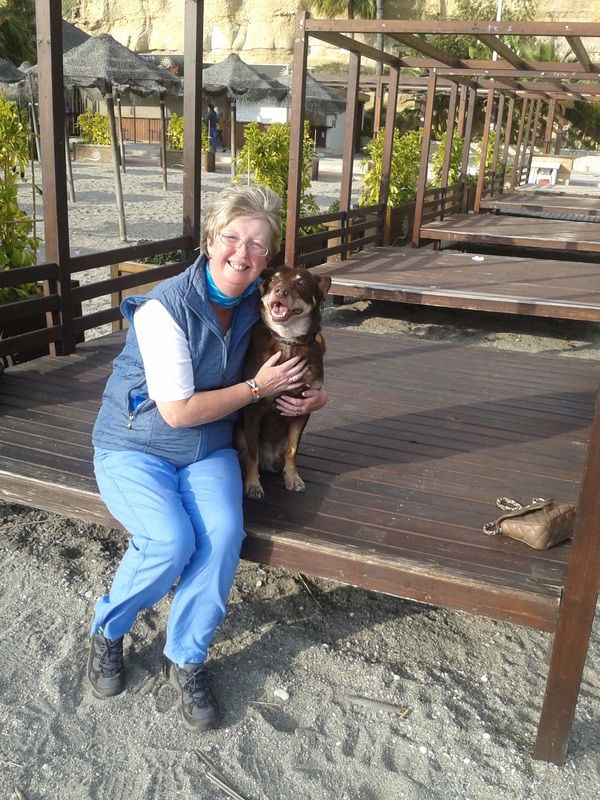 We will be back in February looking forward to meeting all the new puppies we have booked in and helping the rescue dogs who have contacted us.